Not too long ago it seemed that AT&T’s power grip on the cell phone world was coming to end. Verizon had begun to deal with Apple in 2010 and by the time the year was done, Verizon was already carrying the iPad. Then Verizon also got the rights to release the iPhone as well. For the longest time the iPhone was AT&T’s top asset. The playing field was level and AT&T knew that it needed to make changes to stay atop the cellular mountain. The best way to fight off your competition is to buy your competition. And that is exactly what AT&T has done. 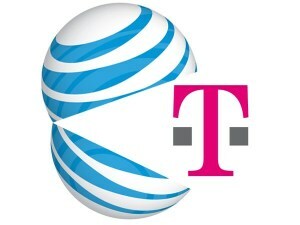 T-Mobile is one of the top cell phone companies in the United States. Along with Sprint and Metro PCS, they are some of the major players in the cell phone industry not named Verizon and AT&T. And now, T-Mobile can say that it technically is AT&T as AT&T has bought out T-Mobile. For the high price of $39 billion, AT&T has now one-upped Verizon as it has increased its network to over 130 million people. Now the quality of coverage for Americans will improve as Verizon and AT&T continue to fight for the top spot in the industry. But prices are not likely to decrease as without cheaper alternatives, AT&T and Verizon have less incentive to become more affordable for American citizens. It is likely that T-Mobile is going to vanish as the company slowly transitions into AT&T just like Cingular Wireless did years ago. The official deal must be approved and pass the regulations set out for mergers. The question that must be asked is whether or not the vanishing smaller cell phone companies and the growing big two is a good thing overall? If the deal is passed, what is left is AT&T, Verizon, and Sprint. A few smaller companies like Metro PCS will still be around, but they are likely to be swept up by either AT&T or Verizon in the near future. There is essentially a growing big two and a smaller major player in Sprint. The quality of the service provided to Americans is going to improve as the companies continue to battle for supremacy, but the odds of prices falling are not very high. Basically we must ask, is the quality of our cell phones and the coverage we have worth how much more money we are likely to spend?